Since 1974, Ronald McDonald House Charities has been actively helping families find strength in numbers through a network of local chapters. And to commemorate 40 fruitful years of keeping troubled families together to help ill children heal and cope better, McDonald's Singapore has planned a series of activities in celebration of RMHC's 40th Anniversary. RMHC Singapore was incepted in 1989 and till date, has extended much needed help to over 900 needy and sick children for their medical, surgical, and rehabilitative treatment costs, with grants amounting to over $5 million. Since January 2013, RMHC has also provided a "home-away-from-home" at absolutely no charge, for families to be able to stay close to their hospitalised children at the National University Hospital, and has served over 170 families till date. Over the next few weeks, McDonald's Singapore will be initiating a series of fundraising activities to rally public support for RMHC Singapore, to help continue bringing love, as powerful as the strongest medicine, to sick children. 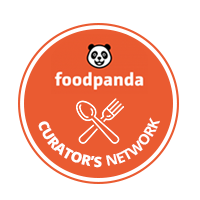 This series of activities will be held in conjunction with a global movement by McDonald's restaurants worldwide, to celebrate the charity's 40 years of fruitful hard work. And do you know that for every Happy Meal sold, McDonald's also contribute 5 cents from the sale to the charity? And of course, what's most important for a fundraising activity? Community support! To show your support for RMHC Singapore and all our needy and sick children, there's a few ways for all of you to join in and spread the love. From 15 October to 28 October, you can make a donation to RMHC Singapore by purchasing a pair of red and white striped socks at either $10, $20 or $50 via Groupon. In appreciation of every purchase, McDonald's has also included a redemption coupon for a free Strawberry Sundae treat, which also happens to fit our colour theme of red and white! To help raise awareness for this meaningful movement, do show your support by dressing in red and white stripes (you can just wear the pair of socks too!) or creating your own red-and-white themed images and sharing them along with all your well wishes for these families on Instagram with hashtags #forRMHC and #RMHCSG. 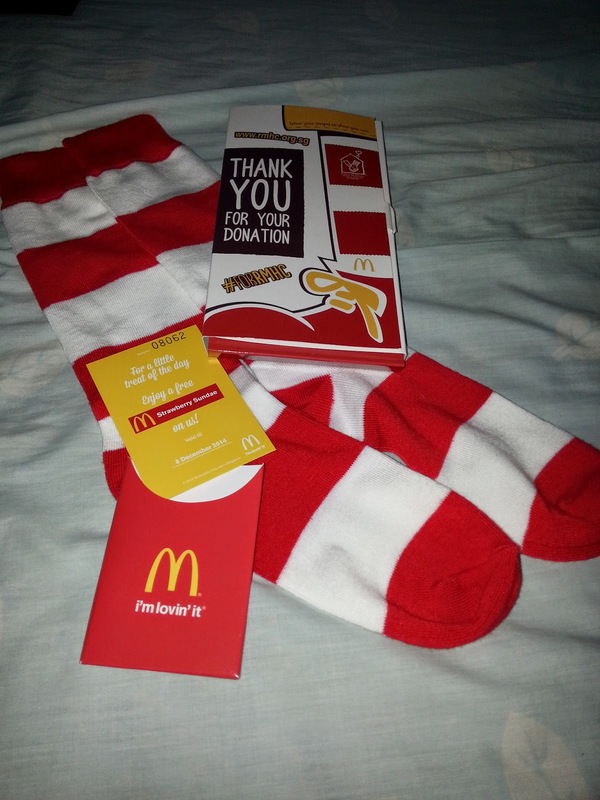 RMHC's 40th Anniversary celebrations will culminate on McDonald's annual McHappy Day, on 16 November 2014, with the McHappy Day Walk and Sale of the socks all across Singapore. 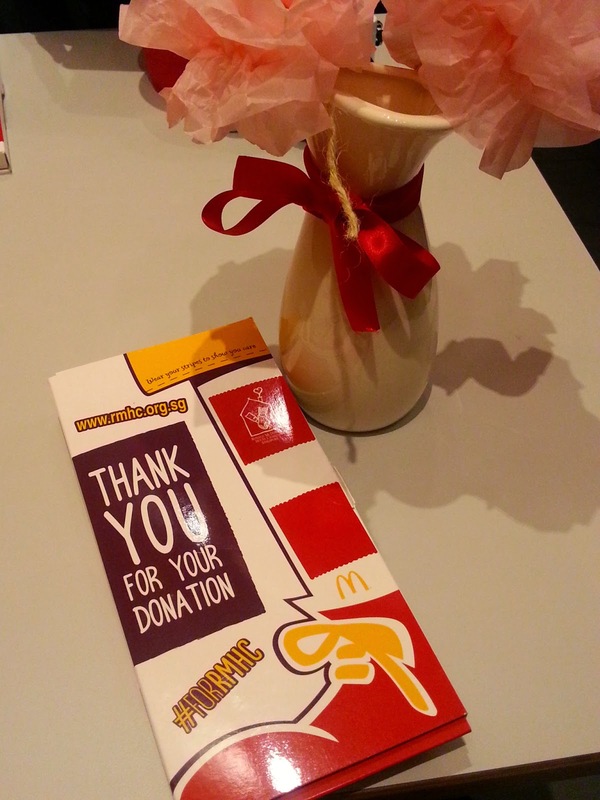 There'll also be a #forRMHC party held at Tampines Mall from 1pm to 5pm, which is opened to public. So do remember to drop by and join in the fun at booths for balloon sculpting, children's face painting, games and many more. And on top of that, Ronald will also be making an appearance for a photo taking session with the children! Even Jelly is loving this cute socks! So what are you waiting for, head over to Groupon right now and start spreading the love! Nice, informative and a well-written post. Thanks you for spreading the information. Keep up the good work. It's nice to know that McDonald's there is doing this kind of charitable works. As for here in the Philippines, I don't really know if they have these kind of events. Good CSR for McDonald's. And btw, nice post. I agree with Saif Khan, this was very informative. There is a RMHC PH too and this 40th anniversary fundraising activities is global. I believe there should be local fundraising events held by McD as well over there? Nice to know that McDonald's give back to much. I didn't realise they did so much charity work! Honestly, I didn't know McDonald's have this kind of giving back. I am impressed. Great job. I hope they have this house charities here in the PH as well. They would really help many people here. That's a commendable initiative.. money being collected for a good cause! Applaud Mc D for that! It must be fun to wear those socks. There is a happy vibe to it. 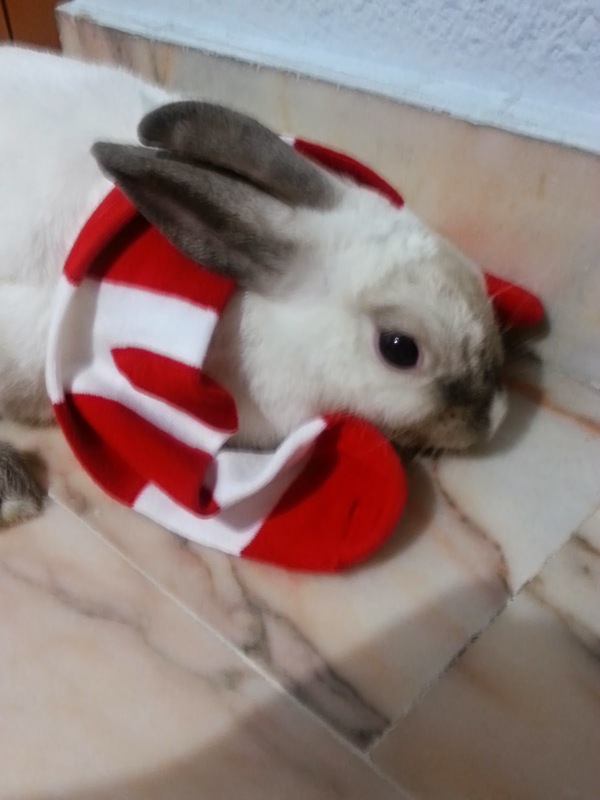 But it also reminds me of the striped hat in cat in the hat (dr seuss). I know that McDonald's aids the needy especially in the field of healthcare. It is important for big companies to pursue charity programs. Always great to hear all the CSR efforts of big companies. I used to work for McDonald's in college and will always be partial to them. I do wish though that they up their donation of 5 cents for every happy meal they sell. This is a good initiative by McDonalds. The striped socks looks cool too. Love them or hate them, this is a great initiative on the part Ronald McD! Now if I can regain confidence in their burgers after all these negative publicity! I am getting a pair of those for myself!!!! Great info and nice meeting fellow Singaporean blogger!! I really like your writing style, great informative post. If you are an expat and plan on moving to Singapore, you may want to check out www.placematch.sg. I found it to be very useful in finding a place. That is a very noble and motivating event that unfortunately is not organized in my country, otherwise I would love to spread the love and give my share buying a pair of these cool socks! This is such a good move by McDonald's! They really should give back to communities since they benefit from a lot. Sounds terrific. I wonder if they are planning to do the same here in the US. I haven't read anything about it here. Anyone else is interested in receiving a FREE MC DONALD'S GIFTCARD?